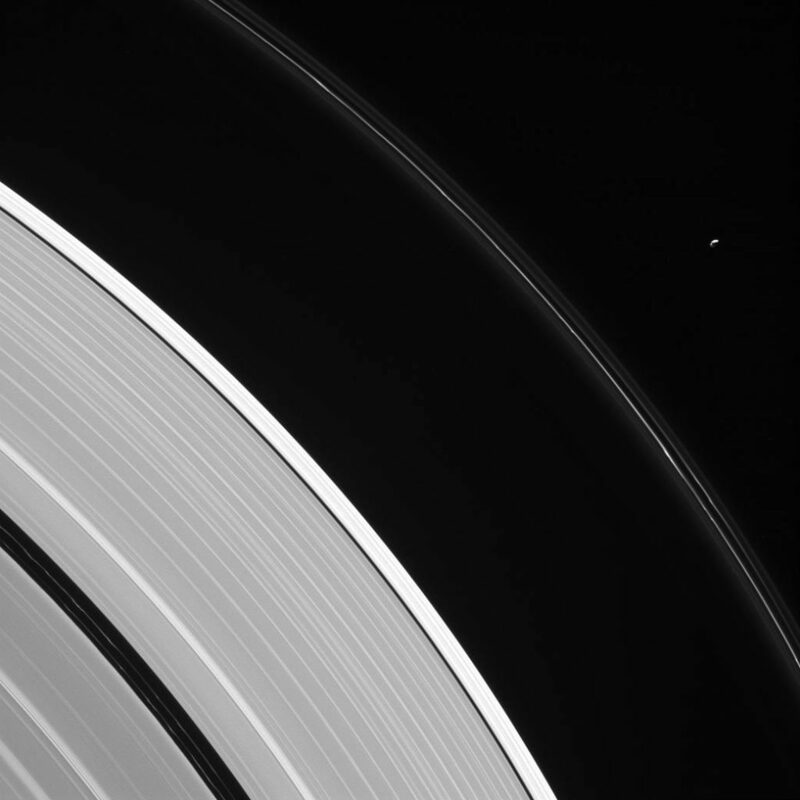 October 17, 2016 – Saturn’s moon, Pandora, is seen here in isolation beside the planet’s kinked and constantly changing F ring. Pandora (near upper right) is 50 miles (81 kilometers) wide. The moon has an elongated, potato-like shape. This view looks toward the sunlit side of the rings from about 23 degrees above the ring plane. The image was taken in visible light with the Cassini spacecraft narrow-angle camera on August 12, 2016.